TME's offer has been enriched by a new line of Low Power Win products from AIMTEC: 4 new DC-DC converters. These new converters are characterised by their high efficiency and low noise, and their load capacity is 2,400µF. What's more, they have low power consumption without load of 10mA maximum. Four new Low Power Win converters feature continuous short circuit protection and high insulation voltage of 1,500 VDC. They are also compatible with third party converters, which means they can be easily swapped without the need for changing a project. 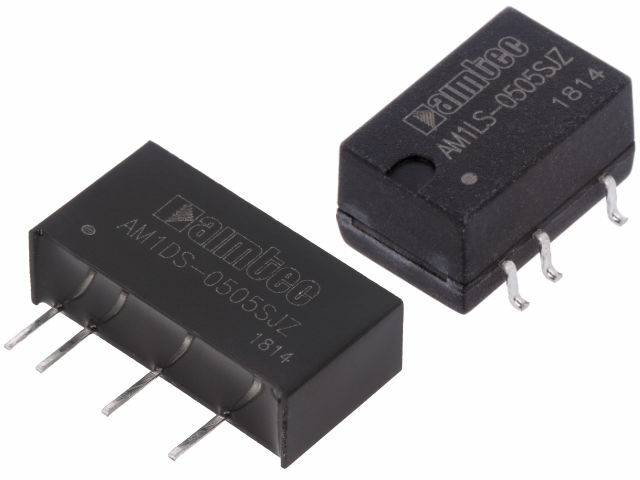 The Low Power Win converters from AIMTEC ensure the highest quality thanks to their manufacturer's extensive experience and the use of high-class solutions. High R&D efficiency and production line development has allowed AIMTEC to offer their products at very attractive prices compared to the competition. wide operating temperature range: from -40°C to +105°C.